Actually, all toothbrushes from Hydrophil are green – but this one also shows it in colour. 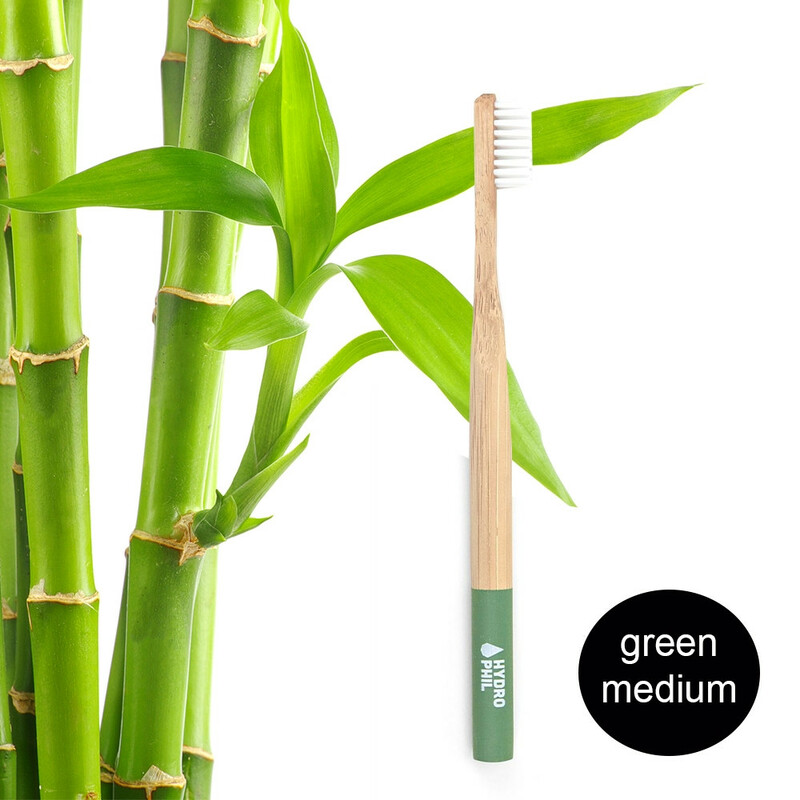 It is manufactured with the rapidly growing raw material BAMBOO and the bristles are made from renewable raw materials. It is, of course, also vegan, petroleum-free and therefore a real benefit for daily dental care and our environment. Thanks to the medium strength of the bristles made from castor oil, the toothbrush offers excellent cleaning performance and is gentle on gums. The best care for the environmentally conscious scene.